Here are some of the most frequently asked questions I get over on Facebook. I'll keep adding to them as you keep asking. Help! How do I print this crazy thing?!? I'm thinking of buying a 3D printer. Money is no object. What type of printer do you recommend for the best possible print? I'm thinking of buying a 3D printer. Money is totally an object. What type of printer do you recommend for the hobbyist on a budget? What 3D printer do you use for your own figures? What tools/accessories do I need in addition to the 3D printer? What brands of filament do you use/recommend? How do I edit one of your designs to make my own changes/customizations? Is it okay if I print figures for my friend, brother, cousin, cat, dog, etc.? What about raffle prizes, charity auctions, etc.? Can I use your models in my fan film, missing episode reconstruction, comic book, youtube video, puppet show, etc. I run a home printing business, and somebody wants me to print a figure for them. Can I do it and still charge them? Why do you care if I sell figures based off your designs? It's a free country, I can do what I want. I have a 3D model that I designed, can I share it on your site or have you make a figure from it? I have an original costume, screen accurate replica, or high-detailed custom sculpt of a classic Doctor Who monster. Is there an easy way I can 3D scan it so that you can create a figure from it? How do you pick what figure to make next? How many times do you have to print a prototype until it comes out right? Okay... This isn't a how-to site for 3D printing, but I'll go over the basics. First, download the zip file containing the STL files you want to print off the Templates page. Once finished, you should be able to save the GCODE files onto a SD card that the printer reads (or send directly to the printer via USB if your printer supports that). I prefer using a SD card, so my PC doesn't have to be on while I'm printing. After that, the process differs depending on what brand of printer you have, but on mine, I pop the SD card into the printer and power it on, hit "warm-up" and "PLA", wait a minute for it to reach starting temperature, pick off any stray bits of filament that have leaked out, hit "print", choose my GCODE model from the list, wait for it to almost reach target temperature (target for PLA is 220) then spray a couple of quick spurts of hairspray on the platform if it's going to be a large design, let it do the first initial outline for the raft (the solid bit that goes under your print job), quickly pick off any blobby or stringy bits that might interfere with printing, then the hard part.... waiting a couple of hours up to a solid week for it to finish the job. If you have the money, and a cool dark place to store poisonous chemicals away from small children or animals who may be temped to ingest them, then you may want to skip filament entirely, and dive straight into SLA resin printing instead. Resin printers print in insanely high detail (even better than the officially licensed figures in some cases) without any of the warping, layer lines, or other problems associated with the filament printing process. Resin prints are also nearly indestructable, and if you're printing something transparent (like the time rotor or Rutan) clear as glass. The downside is that these printers are still quite costly to own and operate, require the handling and disposal of toxic chemicals, and have comparatively tiny build areas. I badly want a Peopoli Moai printer, which has the biggest build area I've seen so far on a SLA printer at 5" x 5" x 7" but it costs a whopping $1300, and that doesn't even include a free bottle of resin. I've seen some quality prints come off the Anycubic Photon, which is a more reasonable $520, but comes with a significantly smaller 4.53" x 2.56" x 6.1" build area, which isn't big enough for most of my figures. Hopefully this will change in the coming years, as new and improved models hit the market, sending costs down and printing sizes up. The resin itself is also pretty costly at about $60 to $100 per liter, though I don't know how many print jobs you can get out of each one. Some brands will let you add colors directly to the resin, which is pretty cool and may save you a bit of money if you know what you're doing and don't want to have to buy different colors individually. As I mentioned before, the resin is toxic if ingested and not good if you get it on your skin. 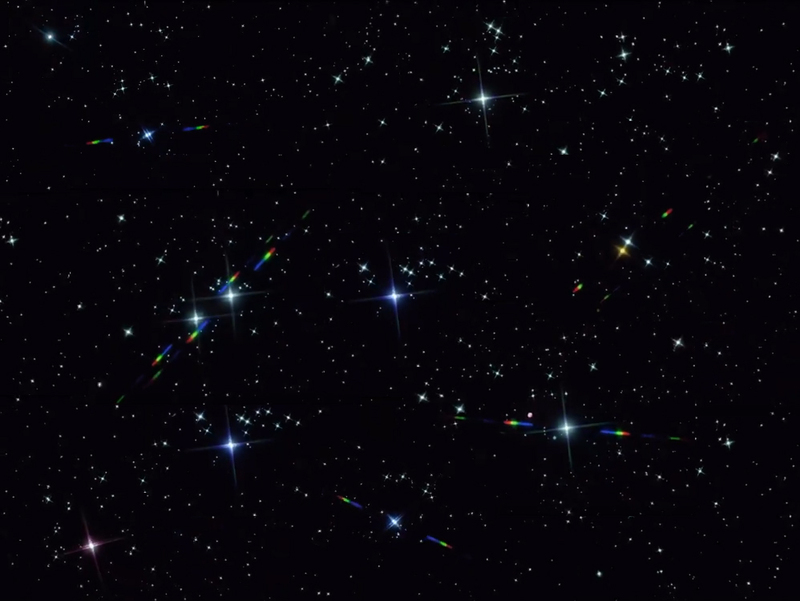 Always wear gloves and a resperator when you handle it. You'll also need a small tub or form washer filled with Isopropyl Alcohol (IPA) to rinse any remaining liquid resin off your figure before you start handling it, at which point, both the remaining resin and resin-infused IPA will need to be disposed of in a responsible manner. Resin printers are great for durability and extreme detail, but they are ungodly expensive. 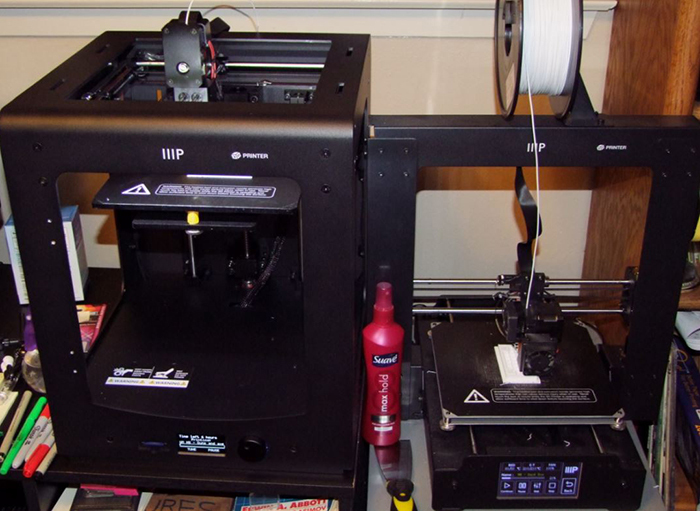 FDM or filament printers (like I use) are a far more reasonably priced alternative, and you should definitely be able to obtain a reasonalby high quality one for under £600. The printer should use standard 1.75mm filament, a 0.4mm or smaller nozzle, and have a maximum extruder temperature of 260°C (500°F) or higher. This will allow you to print PLA (the most common type of filament) but also TPU, PETG, and other more exotic filament types when the design requires it. A large build area that's at least 7" x 7" x 7". The bigger the better here. The vast majority of my figures will fit on a 7" x 7" build area, but that may change if I get a bigger printer, and it's always safer to have more room to print extra brims and heat barriers. The smallest layer height you can find, ideally 20 microns/0.02mm. Standard resolution layer height is 100 microns/0.1mm. Absolutely, do not buy anthing with a layer height larger than that, but if you can, try to find something with a layer height of 50 microns, or ideally 20 microns/0.02 mm. This is the single most important factor in determining the overall quality of your prints, and the lower this number is, the smoother your diagonal/curved surfaces will look, and the easier they will be to paint. Make sure the printer allows for offline printing, preferably via a SD card. Almost every printer I've seen does, but if the printer only has a USB port, make sure it doesn't need to be attached to a PC to print, because prints can take days in some instances to finish, and nobody wants their print ruined at the last minute by a ill-timed Windows update or forced reboot. Compatibility with CURA. It may or may not say this on the box or product details, but it's nice if it mentions it. If it says "works with standard GCODE editors" that's basically the same thing. 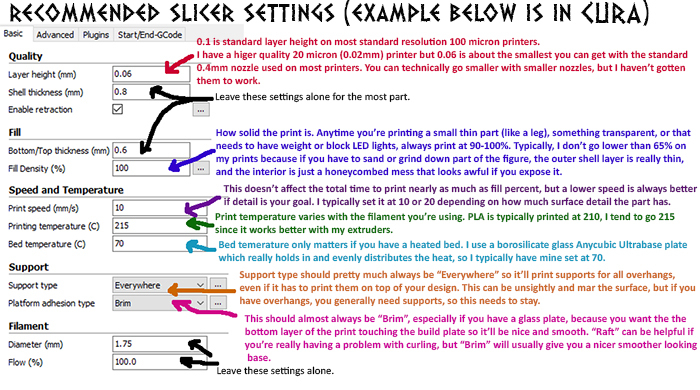 Most printers are CURA compatible, but if it lists some other slicer software instead, you might want to ask some follow-up questions. The last thing you want to do is get stuck with proprietary in-house software that suddenly stops working when you upgrade computers or a new operating system comes out. If you can, try to find a printer with a nice sturdy exterior frame that you can build an enclosure around (it doesn't need to be fancy, literally building a box out of foam core works pretty well). This will help regulate temperature and prevent curling on large desings, and also keep out unwanted hair, dust, small hands or paws, any anything else you don't want to interfere with the print. Some newer printers will automatically sense when you've run out of filament and pause the design. I don't have a printer that does this, and I don't know how well it works, but it sounds like an incredibly useful feature to have, as it's often hard to judge how much filament is left on a roll, and there's nothing more frustrating that getting 4 days into a 5 day print job, and realizing you're going to be short by a couple of meters. All my designs are printed using either a Monoprice Maker Select Plus, which is a standard resolution mid-ranged 3D printer that retails for about $399 or a Monoprice Maker Ultimate, which is a HD printer that retails for $699 (you can get both cheaper if you buy open box). Both are rebranded Wanhao printers, with very minor consmetic alterations - My HD printer is essentially the same as a Wanhao Duplicator 6, the and the SD printer is nearly identical to both the Wanhao Duplicator i3 and the Cocoon Touch printer for sale in Australia. If you see a printer that physically looks like either of mine, it's probably just a slightly rebranded version of the same thing. Both models come mostly preassembled, and have a 7.9 x 7.9 x 7.1 build area. The HD Maker Ultimate can print at 20 microns (0.02 mm) resolution, which has proved to be essential for a couple of my more finely detailed figures (Like the 12th Doctor's guitar) but has some pretty major design defects, including a clunky interface and a deeply stupid filament-loading system that means the filament often gets stuck inside the machine when I try to remove it, and I have to partially disassemble the extruder to get it out whenever I want to swap colors. The Standard resolution Maker Select Plus prints at 100 microns (0.10 mm), which is sufficient for most figures, and is damn near indestructible. What tools or accesories do I need in addition to the 3D printer? You can read more on the Tips and Tools page, but if you're using a filament printer, you pretty much just need the printer itself, some filament, and a computer to run the free CURA slicer software on. You will definitely want to pick up some spare print nozzles and teflon tubing, as these get worn out and clogged fairly quickly, as well as some long stainless steel nozzle cleaning bits for clearing up filament jams. If you have a heated bed, an Anycubic Ultrabase borosilicate glass plate that fits your print bed is highly recommended, and if you live somewhere where you get occasional power spikes/brownouts it's a good idea to hook the printer up to a cheap uninterupted power supply/battery back-up, just so you don't lose an entire print job because the lights flickered for a few seconds. Otherwise, a good set of pliers and x-acto blades will allow you to cut away most of the support structures that will print around the figure. A dremel and/or soldering iron can also come in handy to melt/smooth rough edges or little bits of filament that got fused to the outside of the figure, and if you really want to go the extra mile, a small bottle of UV resin can be useful for fixing mistakes and fine-tuning loose joints, and XTC-3D 3D print coating can improve the surface quailty and hide layer lines prior to painting. The answer to this question can change with the wind. Inland used to be my go-to brand for chear reliable filament, but they changed their formular in early 2018, and their new stuff is hot garbage. The same thing happened to Tianse in late 2018. Both worked great, right up until the point where they didn't. Unfortunately, there's not really any quality control on this stuff, and it's almost all produced overseas in China, so good luck finding somebody to complain to if you get a bad batch. 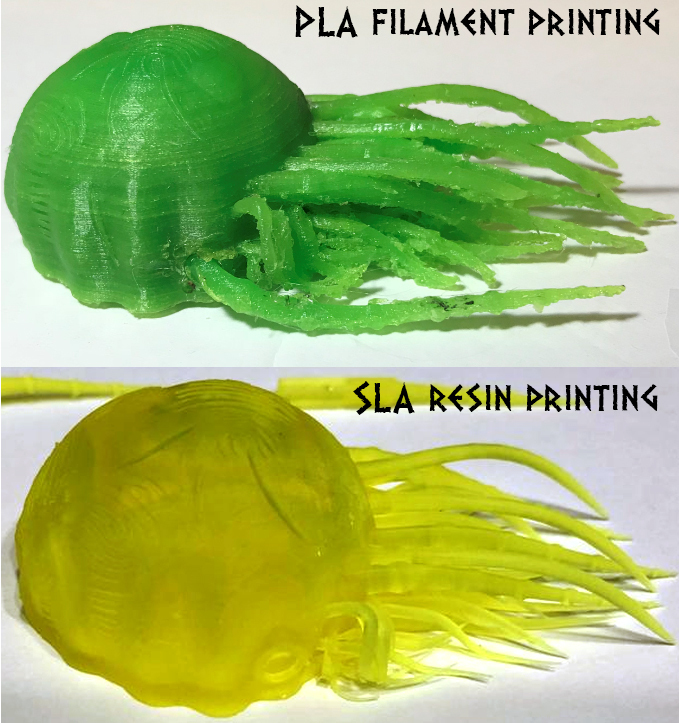 Nowadays, I try to print with PLA+, which is slightly harder and stronger and tends to print fine detail significantly better, or Flex PLA, which as far as I can tell, is a mixture of standard PLA and the more flexible TPU filament. Flex PLA isn't that flexible, but useful for smallish thin parts (Like Wirrn legs) that you're worried about snapping off the first time you drop the model on the floor. 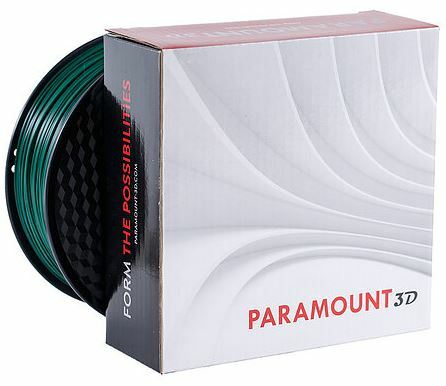 I typically buy my PLA+ from eSUN (Who list it as PLA Pro, and have a fairly decent color selection) and my Flex PLA from Paramount, who I'm fond of for filament in general since their stuff isn't too expensive, the company is operated out of the US (which may make their level of quality control a bit higher), and they tell you the exact Pantone color the filament is supposed to match (ex: British Racing Car Green 3435c) so you always know what you're getting and can be reasonably certain that if you reorder several months later, you'll be getting the same color as what you bought previously, even if it came from a different batch. 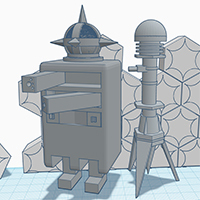 The easiest way is to go to https://www.tinkercad.com/users/j5XjLLtvHOp-troyryanwood, or follow the Rough link off of the Templates page, and click on the big blue "Tinker This" button. This will allow you to take a copy of my design and edit to your heart's content within TinkerCAD. Otherwise, you can always download the STL files, and edit them offline using any number of CAD programs. As long as you can find software that works with STL and/or OBJ files, you should be able to edit any of my designs. Absolutely, as long as you are giving the figure as a present and not directly receiving money for the sale of the item. Do use common sense when deciding who you are going to gift them to though. If you give your cousin a bunch of figures based on these designs, but she immediately turns around and throws them up on eBay because she's not a Whovian or only likes the new series, that will attract my attention just as assuredly as if you'd sold them yourself. If you aren't sure, please message me on Facebook. And remember, if you auction something off or give it to a stranger, they may not be aware of my rules about no selling for profit. Absolutely, as long as you are not going to turn around and immediately sell that figure to someone else. Again, there are grey areas about how much a design has to change before it becomes something completely different, but basically... if I can see that you've just taken my Zarbi design and stuck bits on it... yeah, that's still going to get you in trouble. Can I use your models in my fan film, missing episode reconstruction, comic book, youtube video, puppet show, etc.? Of course! It would be nice if you added a credit or footnote linking back to me and the project, but feel free to use these figures or the 3D models themselves in any creative way you see fit. You aren't printing the figures yourself and then displaying them on your website/facebook page/shop window/craft booth etc. letting people know that you will print them the same item in exchange for money. You don't post the figure or designs on a "print to order" website (like Shapeways) or otherwise advertise in any way that you are a printer of Doctor Who figures based on these designs. Note that some of my designs, like the TARDIS Consoles, Wirrn, and Servo Robot are based off of 3D models that the original designers have for sale on TurboSquid, Shapeways, and possibly a few other places. They designed them, so they can do anything they want with them. My versions have changed enough in the process of formatting them for 3D printing that I can usually tell them apart, so if you want to sell bootleg figures based off the other guys' meshes, that's between you and the BBC's lawyers, but don't use my 3D printing designs and then act surprised if I catch you and let everyone know that you were the person who caused this project to stop sharing templates. I understand from friends in the "biz" that the BBC is aware of my project. I do not want to antagonize them. Copyright law is a tricky thing, and while selling originally created props/models/artwork may be technically legal, I'd rather not get into a fight with an organization I greatly admire, or take money away from Character Options, who must not be making a ton off of the Doctor Who license, because they've massively scaled back their figure release schedule over the last several years. Selling bootleg Doctor Who figures will probably get *YOU* in trouble with the Beeb before they set their sights on me, but still... they'll know exactly where the design came from just as much as I will. The best way to avoid that and keep this a fun friendly project that everyone can enjoy is to just relax and have fun with the figures yourself, show them off to your friends, and be glad that (for now) you have a means of getting new action figures based off 20+ year old episodes of a TV show, that you'd never get commercially. Short answer... contact me on facebook and we'll talk. Longer answer... I am always willing to colaborate with other designers and will certainly look at any models of classic Doctor Who monsters that are in a compatible STL or OBJ format, to see if it's something I can adapt into a figure. If I can, and if you are willing to let me tinker with the design then post it on my templates page and TinkerCAD (with a note attributing the original design to you), I'll be happy to do so, though if I'm working on a design of my own, I may not be able to get to it right away. Again... contact me on facebook and we'll talk. In theory, if I have approximately 200 smart phone pictures taken of a stationary object under good lighting conditions, taken from every possible angle in a 360° spread (the object and it's surroundings can't move, only the person taking the photos) I can use a program called ReCap Photo to stitch them together into a 3D model that may or may not give me enough surface detail to start creating a figure. This technology is still in its infancy, so I can't use it to magic up a figure instantly, but I have used it before to create basic body shapes and surface details that I would have a hard time creating from scratch. The technology does seem to work better the larger the object is, and the more surface detail there is to capture. I may or may not be able to do anything with photos from a custom 5" scale figure no matter how good it is, but if you're the proud owner of one of the original costumes, have a professional quality reproduction, or own one of the excellent full-scale Silurian or Draconian masks that were being sold in the 80's, I definitely want to talk to you. Certainly if you can provide me with what I need to create a figure, I'll be happy to give you a shout-out on my templates page, and depending on what you've got, may be willing to pay you with a custom printed figure or two. When setting out to make a figure, I begin by trying to track down as many high quality photos as I can, from as many angles as I can. My first stop is usually the Doctor Who Photo Research facebook group, since they've got lots of amazing images taken behind the scenes, for publicity, or at exhibitions like Longleat. I also usually watch the episode on DVD, or for missing episodes, either the Loose Cannon reconstruction or Telesnaps, depending on what's available. Other than picking up the finer details of the costume itself, I'm also looking for specific information. I want to see how the monster moves, so I can plan my points of articulation. If it's a robot or creature that lights up, Is that something I can replicate by adding UniBlock light brick or if it's big enough, GoBrix for motorization. For black and white serials, actual color reference photos (not just colorized) are an amazing reference when I can get them. Remarkably, a number of classic series monsters were quite literally paraded around England in the 60's, so I'm frequently amazed at what turns up in photo archives. Once I have reference photos, unless the figure is a blocky robot with nice straight edges, I usually head over to Thingiverse or TurboSquid to look for free (and free-to-use) templates with the textures and/or basic body shapes I need to build from. Case in point, the Yeti figure is made almost entirely from this rat, cut down and layered multiple times. Then comes actually building the figure. I can't really explain what I do in too much detail, but mainly it involves building a rough solid "statue" without articulation and then sticking bits on it, and rearranging them until they look right. Obviously it's more complicated than that, but that's the gist of it. Articulation is the bane of my existence, but once I get one figure with a particular style of articulation down (ex: the elbow or shoulder joints on the Yeti) I try to make a set of Left/Right Positive/Negative molds that can then be used to on subsequent figures to give them the same style of movement. As every figure is a little different, these molds often have to be resized, leading to an annoying game of "try it and see." where I have to print the figure out and then shave a mm off here, or build this part of the figure up with some extra fur, so that the different pieces can by forced together without snapping, and then move freely, but not so freely that they flop about. This is the least fun part of the process, and why when I show off a brand new figure design, it usually stays in the Rough state for several weeks, while I agonizingly make changes and print and reprint again and again. I do what I want... But there's usually a method to my madness. I have my to-do list, but I also like to be challenged and push the envelope as much as possible. Often, when working on one figure, I'll find a cool template or technique that I can apply towards the next design. When building the Dalek Transmat, I thought "wouldn't it be cool if I could incorporate a bunch of fiberoptics, like the original prop?" That didn't happen, but while searching for small light sources, I stumbled across UniBlock light bricks, which were so cool, I incorporated them into my next 5 designs. When looking for stone textures for the Ogri, I found the rat that finally gave me a fur texture I could use for the Yeti, and (I thought) the Taran Wood Beast, though that one was eventually made out of a bits of a Dwarf's beard and ponytail instead.) And if I just bought a special type of filament (like transparent PETG) or already have the machine loaded with a particular color, I may go looking for another figure that can make use of the same resource. As I said in the previous question, I do what I want. This is my hobby, and if you really want figure X, you're more than welcome to take a stab at creating it yourself. I will occasionally post "choose the next figure" polls on the project's facebook page, but those will be from a pool of options that I select, based on whatever new technique I want to play with next. My to-do list is massive, and pretty well encompasses all the figures I think I have a reasonable chance of creating at some point in the next 5-10 years. Some of these are comparatively easy, others could take months of work. Chances are, if a figure isn't on the to-do list, it isn't because I haven't thought of it, it's because it has some element that would make it unusually difficult to create in the 3D printable media. Anything too large to fit on a 7" x 7" build plate when printed at 5" scale. Anything too curvy (overhanging parts look awful and don't print properly), geometrically complex or organic looking (too difficult to sculpt) or requiring more surface detail than could be printed at standard 0.1mm resolution. All monsters from Big Finish, comic books, stage plays, and other spin-offs. If you really think I've missed an easy to create monster that isn't on my to-do list, and doesn't fall into one of the categories listed above, feel free to pop over to facebook and suggest it, but seriously... I can all but guarantee that I've already thought of it and dismissed it because it's too difficult, would never print properly, or would be a big waste of my time when there are far more interesting desings to work on. It depends. Once in a blue moon, I get real lucky, and it's only once. The Ogri came out perfect on the first try, but I think that's the only time that's ever happened... mainly because it had no moving parts. Usually it's somewhere between 3 to 6. The more complicated the design, the more chances there are for things to go wrong. And then there are the designs from hell, like the Taran Wood Beast, that should have been an over-and-done-with April Fools joke, but that stretched on for weeks because I just couldn't get the arm and leg joints to slot together without snapping. The big scale figures and vehicles, like the War Machine and Dalek Time Machine are the worst though, since they take weeks to print, and one minor mistake can ruin the entire design.